Red lipstick is one of the most powerful tools for makeup, which changes your look instantly. And because of this power, we’ve been all tempted to buy one or two without giving much thought into it (and perhaps, without much success). Well, when we say red, we think there is this universal single “red” color. That is not the case, especially when it comes to lipsticks. There are different shades and texture, like matte, deep or dark one, and not to mention many cosmetic brands like Lakme, Revlon and Maybelline with endless shades of red to offer. Here, we are going to explain how to choose a red lipstick based on different criteria: your skin tone, texture and occasions. And we are listing our top 10 choices of red lipstick to purchase. 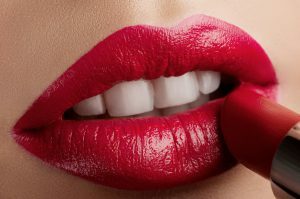 Let’s try to find your best red lipstick to enhance your beauty and uniqueness! Have you ever thought a red lipstick isn’t for you? Yes, red is a bold color that can be a bit intimidating. But if you choose the complementary color and texture to your skin tone, red can be every woman’s color. First, let us explain the color, red. There is no pure red. Red is the middle ground between warm red (red-orange) and cool red (magenta or purplish red). So, depending on your skin undertone, your perfect red changes. The texture is also important as well. So, here we go. One of the many things that makes India special is diversity. 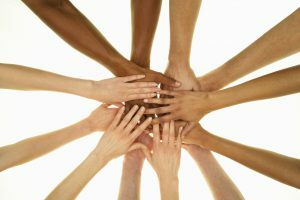 From language, culture to ethnicity, our diversities offer richness in this world. And so with the skin tone. From light creamy complexion to dark golden complexion, no two people share the exact same color. Depending on the complexion and skin undertone, there are different red that complements your skin. There is no right and wrong in color. So, in the end, it all depends on how you feel when it put on. But it does not hurt to know what complements each skin tone. So, you know your skin complexion. You have darker, lighter or medium skin. But undertone is another matter. It is not so easy to know. Lots of people have not even thought about this. Knowing skin undertone is very important in choosing colors in makeup. The best way to find out whether you have warm or cool undertone is to look at your vein. If you have a greenish vein, then, you have an olive color warm undertone, looks more purple and pink glow on your skin (often with light skin), you have pink based warm undertone. If you have a blueish vein, you have a cool undertone to your skin. If you have a dark complexion, there are two things to keep in mind. One is the undertone of your skin, and the other is the amount of pigment in a lipstick. If your undertone is cool, you can play with plum red (has a tint of blue in it), and if your undertone is warm, then try brown/orange-based red. And perhaps, more importantly, you need to make sure there are enough pigments in a lipstick to flatter your dark complexion. If there aren’t enough pigments, then lipsticks make you look ashier on a darker complexion. One way to find out if the lipstick you picked is not diluted or not is to check the amount of titanium dioxide. Make sure the amount is lower if you have a darker complexion. If your skin is anywhere from beige, olive to light mocha, you have a medium complexion. People with medium complexion have different skin undertones as well: cool, warm and even neutral. People with medium complexion can work with from warmer red like cherry to cooler red like burgundy. If your skin is definitely olive-toned, which means your skin undertone is green, then orange based red looks great on you. If your skin is from creamy white to light beige, you are in a fair complexion category. People in this category can work with red lipstick with a tint of blue. Raspberry or most type of “berries”, magenta, red with a bit of fuchsia will make your lips stand out. One thing to be careful is the dark shade of red. It tends to look like you are aiming for a goth look. Of course, if that is your cup of tea, then perfect! Lipsticks have different texture depending on the number of pigments, moisture and other substances. Usually, make-up artists use more than one texture to create glamorous lips. It is good to know what each texture offers in terms of looks. Matte lipsticks last longer and give brighter color because they have less moisture and more pigments than other textured lipsticks. This type of texture is best suited for giving the color red instantly. But it also looks a bit flat if used alone. You can create the depth to your lips with the use of lip liner and gloss. Because it does not have much moisture, wearing a matte lipstick can make your lips pretty dry. 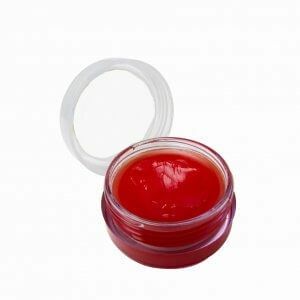 Before putting the lipstick on and after removing your makeup at night, you might want to protect it with a lip balm. Lip gloss isn’t quite a lipstick. It usually comes in a bottle or a jar because it contains the more water-based substance. 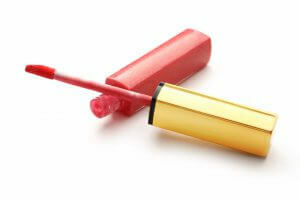 Using red gloss alone will not create the bright red lips you want, but this texture can make your lips look fuller. If you have thin lips, it might be great to use it after applying a matte red lipstick to give luscious looks. This texture is somewhere between matte and gloss. It usually comes in a bottle with a brush like application tool. The coloring isn’t as great as matte lipsticks. But because of this, it could be perfect for someone who is ashamed a little to put bold matte red on. Well, there are endless occasions for red lipsticks. Basically, it is all about lighting. Whether the natural lighting from the sun or to the dim lighting at the dinner. So, we picked three occasions and give tips on what to look for. Basically, this means your lip is exposed to the sun, natural lighting. Natural lighting tends to accentuate red in your face. So, wearing a simple red matte color on your lips might look a bit overwhelming. You can balance this out with a bit of lip gloss or removing about half of it with tissue paper after application. Or It is better to use liquid matte instead of matte. 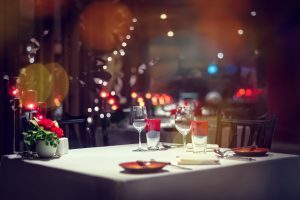 You are taking your date or being taken out to a nice restaurant, and you want to wear your stunning dress with your red lipstick. Well, then, choose a lipstick that is “long-lasting”. You don’t want to finish your dinner with your lipstick completely off (and into your stomach). And the other thing is, matte lipstick works better in dim lighting. Another small tip. If you don’t want to stain your wine glass or coffee mug, before you put your lips, wet(lick) the glass slightly. This helps. So, in this occasion, the lighting can vary from dim to dark (and occasionally very bright). The key is to keep the color intact. So, of course, you want to choose “long-lasting” lipstick, but also in matte red and outline it with a lip pencil. This helps avoid bleeding out when sweating. So, now we are ranking our top 10 choices of red lipsticks. We chose them based on popularity, performance, customer reviews and price. Hope you will find the one perfect for you! 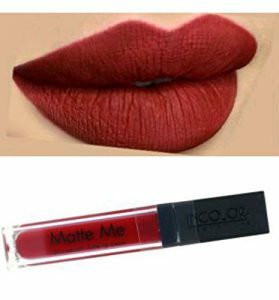 This liquid-matte lipstick from inCOLOR offers red that has a blue undertone, which means it is best suited for people with a lighter complexion. For a liquid type, it stays for a long time. Depending on what you do/eat/drink, but customers claim it lasts for about 5 hours or so. The only thing to keep in mind is that it could make your lips dry. Because it has a high amount of pigment and therefore matte, it can dry lips faster. Protect your lips with lip balm before and after applying it. Because it is a liquid matte, you can control the amount of red to your lips. So, if you haven’t tried the color red, this product might be good for you. 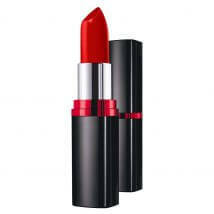 This lipstick from Lotus Herbals offers light texture (not matte) with a variety of red shades to choose from. The actual colors are darker than the pictures, so keep that in mind. “Crimson Red” has an orange undertone, so it will look good on medium complexion with olive undertone skin. “Apple Berry” and “Ruby Dusk” both have a blue undertone, but “Ruby Dust” has glitter-like substance in it, so it might be fun for a lot of skin type. This lipstick is not matte, so it is easy on your lips. But it won’t last too long and the coloring won’t be too vivid. If you want to add a bit of red for casual occasions, this might be perfect! This lipstick by Revlon isn’t completely matte, but with the company’s innovative pigmentation, the coloring is good. It has moisturizer in it so that it does not feel dry after application. “True Red” is a good red that could work for a good range of skin tones. However, just as we explained earlier in this article, there is no true red, really. This red can look slightly pinker (because it is not matte) and has a blue undertone. “Plum” is a dark brownish red that has enough pigments, which means it could work for dark complexion without making it look ashy. 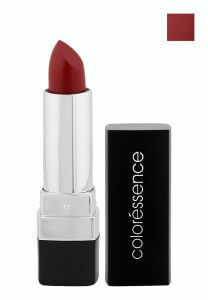 This lipstick by Coloressence is affordable and pigmentation is good for the price. It is semi-matte, and has lip moisturizing substance so that your lips do not get as dry as the other matte lipsticks. Three red shades, “Brick Red”, “Fire Desire” and “Burning Desire”, all have a slight blue undertone. “Fire Red” has the least maroon tint of all, creating bright neutral red. These shades best suited for light to medium complexion with blue skin undertone. It last fairly long, but not when you are eating meals. 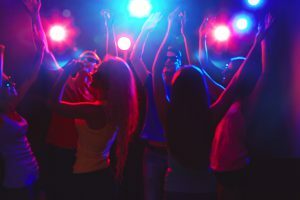 Since these colors are great for partying and night out, touch-ups may be good after a meal. If you are trying out different kinds of red, why not get them all! The price is great for that! Having a Hearty Meal? No Problem! 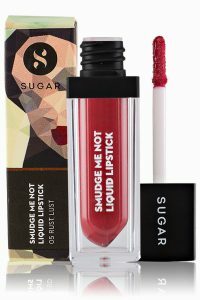 This liquid lipstick by Sugar Cosmetics colors your lips well, and it stays for a long time even after a meal because it is waterproof. This means, it could be perfect for a night out occasion. “Rust Lust” is brownish red that goes well for people with warm skin undertone and works for most skin complexion. “Brazen Raisin” is wine red, which means, the base undertone is blue. Whether you have a fair complexion or dark complexion, if you have cool skin undertone, it will complement your skin. Because it is long-lasting and waterproof lipstick, it tends to dry your lips. But if you protect your lips with lip balm, it can work for a wide range of people with different skin tones. 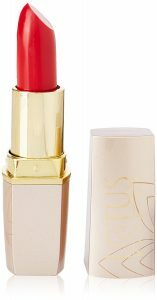 L’Oreal Paris has created many lipstick lines that offer many shades and texture with good pigmentation. 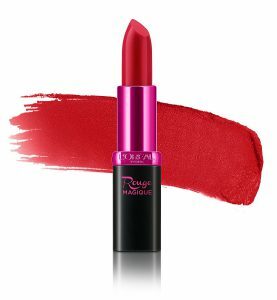 This one can color your lips in vivid mattered, and it is inexpensive. Three shades that are called “red” have all blue undertone: “Scarlet Deja Vu” for fair complexion, “Royal Veloute” for medium complexion and “Purple Comtesse” for dark complexion. If you have warm skin undertone, you might want to try “Dazzling Crush” with an orange tone and “Tropical Sorbet” which is red with pink in it. With so many colors, you will find the one that suits your skin for sure! This lipstick by Faces offers a few different shades of red, and their pigmentation is great. It is not completely matte, but stays on your lips for a long time. “Red Addict” is the closest to neutral red with a hint of orange in it. It suits the best for medium to fair complexion. “Passion” is even more orangish, and this can work for all complexion if you have warm skin undertone. “Temptation” is wine red with a blue undertone. The color is bright enough for night time, but it is also not too matte (pasty), so you can even wear them during daytime! What is amazing about this lipstick by Lakme is not only it last for a long time, but the subtlety of red shades they have. There are so many shades of red, it is almost hard to see the difference in online. There are three close shades of red, “Burgundy Affair”, “Red Rush” and “Red Flames”. “Burgundy Affair” is the darkest of all with a blue undertone. “Red Rush” also has a slight blue undertone, but lighter in color which means it could work during the day as well. Red with slight orange undertone is called “Red Flames”. This will look great for people with olive-undertone medium complexion. There are other red shades with brown or pink undertone. You will definitely find the red you’ve been looking for! 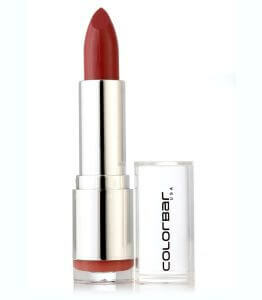 Colorer Velvet Matte Lipstick is budget-friendly and great for casual wear. It is matte but still has the creamy feeling to it, which means it is not too pasty. “All fired Up” is deep red with a slight blue undertone, “Hot Hot Hot” is a bright red with an orange undertone, and “Brick O La” is light red with a pink and orange undertone. They work for most of the skin complexion. What is great about this lipstick is that it is not too matte, and depending on how many times you apply, once or twice, you can change the brightness. If you are feeling a bit shy about wearing bright red, you can apply it lightly once. Maybelline offers so many different lipsticks from various shades and texture, it is almost impossible not to find the one you love. 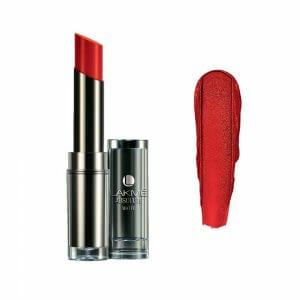 This product came in our first choice because it offers different shades of red and has great performance for the price. There are so many reds to choose from, but we have focused on four different shades that are pretty close to introducing. “Ruby Twilight” and “Red Diva” both are pinkish red, but the former has a blue undertone. It is pretty bright. It could be fun for people with cool skin undertone. “Red Rush” and “Red My Lips” are both red with an orange undertone, but “Red Rush” is more matte. So, if you are going for bright red that works during night as well, this might be it. “Red My Lips” is slightly shiny, which means lighter and works well for someone who wants to be subtle in use of red. All in all, the price is so friendly that you could actually buy more than one to try and mix. It might be fun to pick a color you’ve never tried as well! So, how was it? Did you find the red that suits you? Remember, your skin undertone as well as complexion is important in choosing red. Red is the color we all dream of wearing at one point. Choose the one that works and satisfy you the best! Good luck!